The first pleasant surprise when you slip it into your player is the amount of content on the disc. There are four main features, the first being a 70 minute documentary about Oga himself. Tracking his career from untrained beginnings and pre-Ghibli anime days to the present, it also offers fascinating behind the scenes glimpses into the pre-digital filming and composition production techniques the studio employs, and the effort and painstaking attention to detail they require. It also gives a lot of screen time to the always insightful Isao Takahata, as he talks with affection and respect about working with Oga on Only Yesterday and Pom Poko, but we see the as always reserved Miyazaki only in short clips of archive footage. 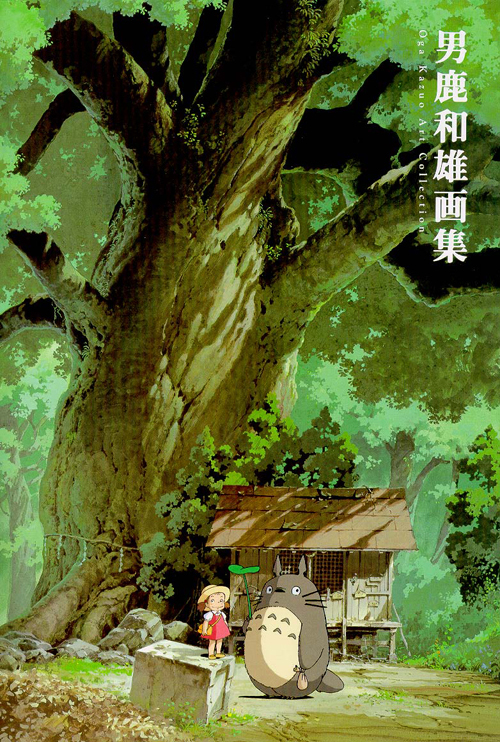 As with all the features throughout the disk, there are superbly translated and written English subtitles – a gracious nod from Ghibli to it’s small but enthusiastic fan-base in the west – and the film succeeds in not only demonstrating Oga’s enormous talent but in putting a human face to the artist’s work. 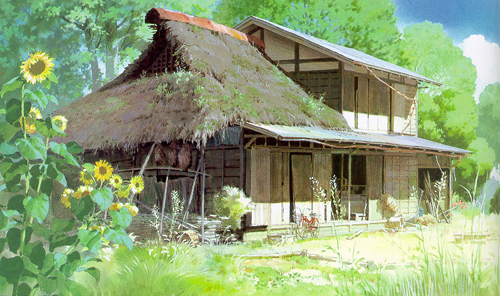 The second feature, The charm behind Kazuo Oga’s background art, is a 40 minute documentary comprising mainly of other Ghibli staffers and a Japanese art historian talking of their love of his work, as well as some footage of the exhibition itself. 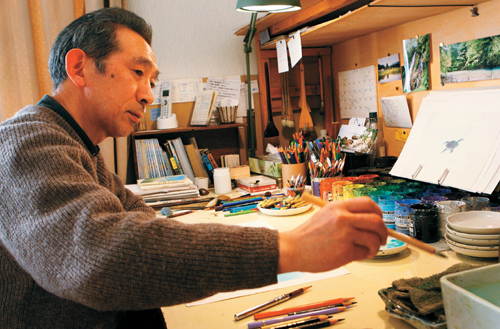 But it’s the third feature that will be of perhaps the most interest to fans and fellow artists – Kazuo Oga’s Techniques is a recording of the man himself painting a complete work, from blank canvas to finished work. Six hours are subtly edited down into 20-odd minutes, and every second is a delight to watch. 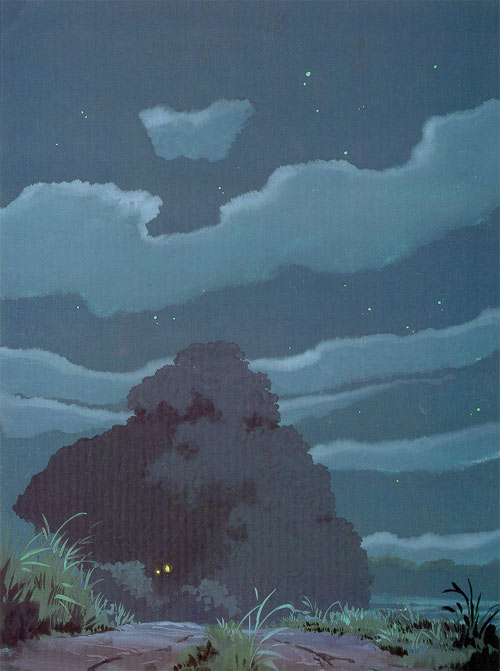 Essential viewing for all artists, it’s also a fascinating, hypnotic experience for anyone, Ghibli fan or not. From what I understand this is a different recording from the one on the DVD version, a time-lapse version of which is presented below. Finally, but perhaps most impressively, is the still image gallery collection of all 600 pieces of artwork shown at the exhibition. Presented at Blu-ray resolution, this feature is just incredible, and personally justified the purchase of the disc on it’s own. The image quality is phenomenal, and being able to just sit and watch a high-res sideshow of all these works is mesmerising. I should also point out that the image quality throughout all the features is exceptional – unlike the extras on many BR discs there are no upscales here – everything seems to have been shot in HD, before being subtly and professionally edited. 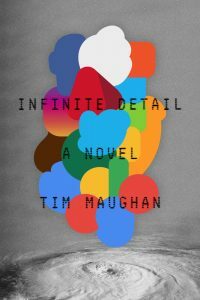 The whole package is a delight to watch, as relaxing and enthralling as it is intelligent and insightful. 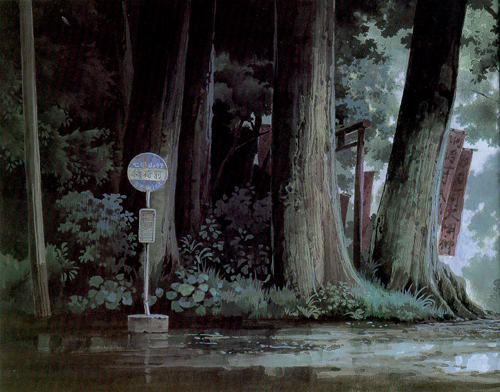 As the first true Ghibli BR release, it also gives a tantalising glimpse at what the studio can do with the format. Although it may be a little expensive or tricky to track down, there is a hell of a lot to recommend about this disc. For Ghibli fans, artists and art students it’s essential viewing, and also a fascinating watch for even the most casual fan of animation fan painting. A fitting testament to the work of a truly great artist, and a reminder of the role he has played in making anime one of the most powerful art forms of the last 30 years. Read more about the DVD and the exhibition over at Vong Yonghow (AKA Blauereiter)’s ever brilliant Halcyon Realms site. Nice review. The art from this guy is really amazing. He really captures the mood. I happen to have his art book, which is of course very good. 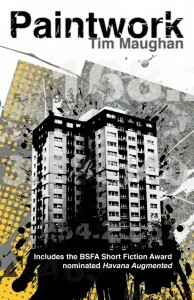 Here’s the link to my book review. Nice review. I saw the Japanese version of that book when I was over there – I think there might be two volumes? Sadly, there was only so much I could afford/carry…. I have a question, I know that in the view when the local art instructor/dean was looking through his work in the catalog it was a very large trade sized version of the show. Was there a catalog from the show or is there only the two books: Oga Kazuo Art Collection and Ogo Kazuo Animation Artworks? Yes – I believe there may have been. Sadly I couldn’t afford to pick it up. But look around online, I’m pretty sure I’ve seen it for sale.